Thank you to all those who attended Te Komiti Nui o Ngati Whakaue’s (Te Komiti Nui’s) Annual General Meeting on 25 September 2016 at Te Papaiouru Marae. In general business, J.Kahukiwa (Negotiator) presented some high level legal options that Ngati Whakaue may wish to consider testing in the courts to confirm Ngati Whakaue’s rights. The presentation was a follow on from the discussion had earlier at the Registered Voting Hui on 4 September. From here, Te Komiti Nui will advance Ngati Whakaue’s Treaty claims in accordance with the above resolution, while the Crown’s position is that negotiations are on pause. 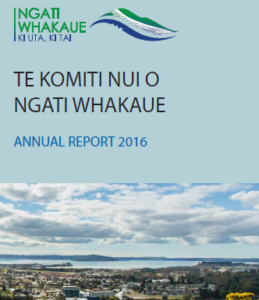 Te Komiti Nui will also continue its effort in seeking to meet with Pukeroa Oruawhata Trust and Ngati Whakaue Tribal Lands Inc. to discuss how the entities may work together for the benefit for all of Ngati Whakaue whanui. Special acknowledgment must also go to the ringawera, led by Whaea Rene (Buncie) Mitchell for her work in ensuring all meeting attendees left full and happy – Nga mihi ki a koe Whaea Buncie.